Thank you. I do not know where to start, or end, in expressing how grateful I am to you. I came here as a confused child who had just lost the one person who meant the world to me and my sense of hope. I was excited about coming here because I was promised a better life, one which was full of possibilities. At that time, I did not truly understand what this meant, but knew that I would not have to go to bed hungry, or think about where my next meal would come from, as my mother who used to provide for us had passed and life at home had become unbearable. I am thankful to you for having created a safe home for me and taking away all the fears I had in life before SOS. You took away my nightmares and turned them into live dreams which I have up to this moment, managed to fulfil, and continue to dream. I know that SOS was sent by God to make my dreams a reality and in the process restore hope to destitute children. I cannot say that I have not had challenges, but I can confidently say that because of what you stand for, and the parents that you have provided me with: our mothers, the community; our parents in the office etc., I have been able to overcome these challenges. At every step in my life, God has used all of them in different ways to shape my character and rejuvenate my hope in times when I felt hopeless because of various challenges. In this, I stand as evidence that the work that you do, together with the parents that you have provided us with, is not in vain. There are so many of them and I cannot begin to mention them by name, as I am likely to leave out those who have moved to other prospects but have also played a role in the young woman that I have become, and I am becoming. However, I would like to make a special mention of my [SOS] Mom, Letty Mathonsi. I have seen so much love and continue to see so much love from her and I am very grateful to have someone like her in my life. Thank you ma. There is so much that I can say about how grateful I am, as I said, I do not know where to begin or end, but as I venture into this new phase in my life, I am thankful. I am thankful because you have provided me with so many opportunities to realize my dreams. I am thankful because today I pride myself on belonging to a loving family because of you, SOS. I am thankful because I will always be an SOS child and have a family, not only in Nelspruit but the entire country, continent and the world. I am grateful because you have equipped me with enough skills to face the world head on, and have the confidence that I will succeed. I am grateful because I am no longer fearful of what life outside of SOS looks like. I am grateful because as much as there is no perfect home, SOS is a loving home. It is my prayer that you will continue to show so much love and kindness to those before and after me, that they will seize every opportunity that you make available to them and realize their dreams. I am grateful that I am because you are, and we are because God is. Nobuhle came to live at the SOS Children’s Village Nelspruit in South Africa at the age of nine. 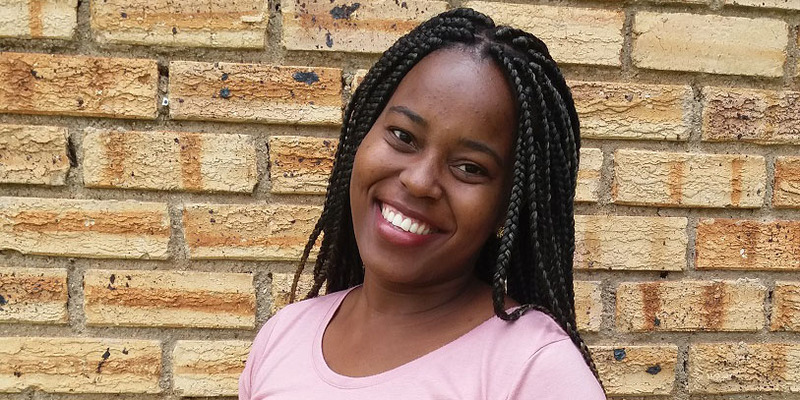 Now 22, Nobuhle holds two bachelor’s degrees, one in Social Sciences from the University of Cape Town and another in International Relations from the University of Pretoria. Currently doing a year-long internship at a healthcare company, she wants to one day become a clinical psychologist as well as work on social justice issues in South Africa.